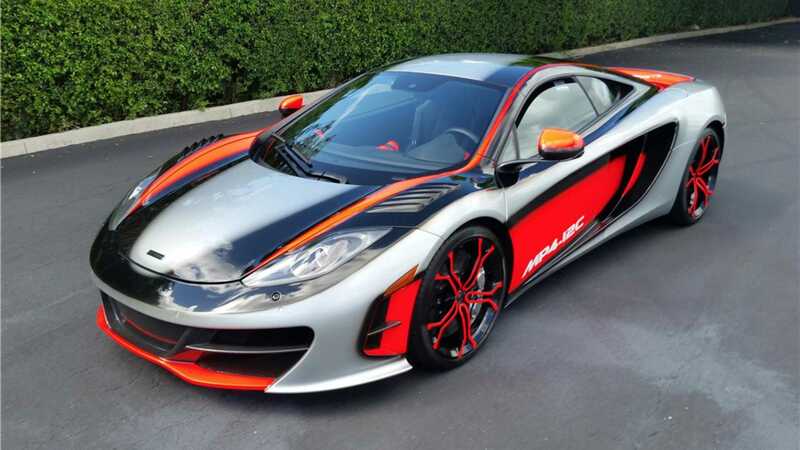 A very special limited edition 2012 McLaren 12C GT3 racer is looking for a new home, and it comes with quite the history behind it. 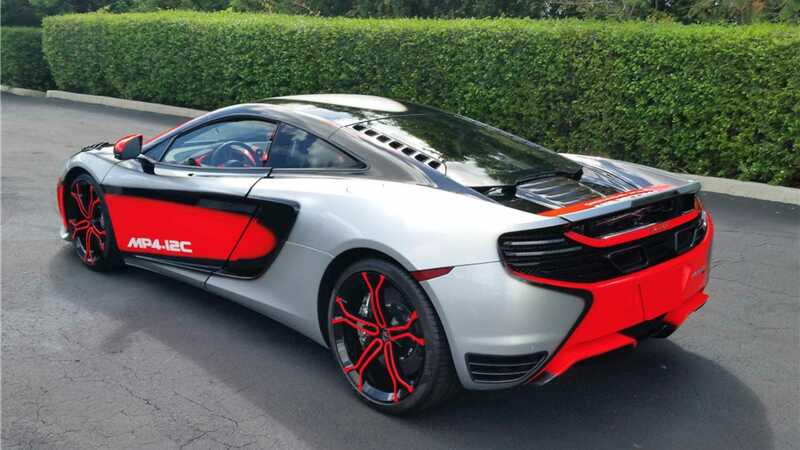 According to the auction house, Barrett-Jackson, it was commissioned by McLaren Ron Dennis, and is only one out of ten examples. While every model McLaren made has a certain level of mystic and halo car-fandom, the High Sport is definitely something to get excited about. The designation means the car has redesigned and improved front and rear bumpers, side hot air extractors, and louvers on the front fenders that not only increase downforce while reducing drag, but they also improve cooling of the tires and brakes. 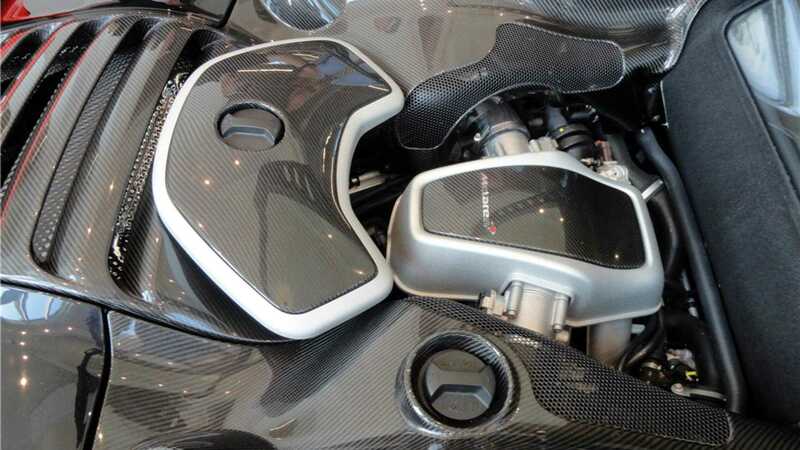 Engine modifications of the High Sport bring the power rating of the mid-mounted 3.8-liter twin-turbo engine up to 675-horsepower - this gives the car the ability to sprint to 60 miles per hour in three-seconds when in launch mode, and has a top speed of over 200 miles per hour. 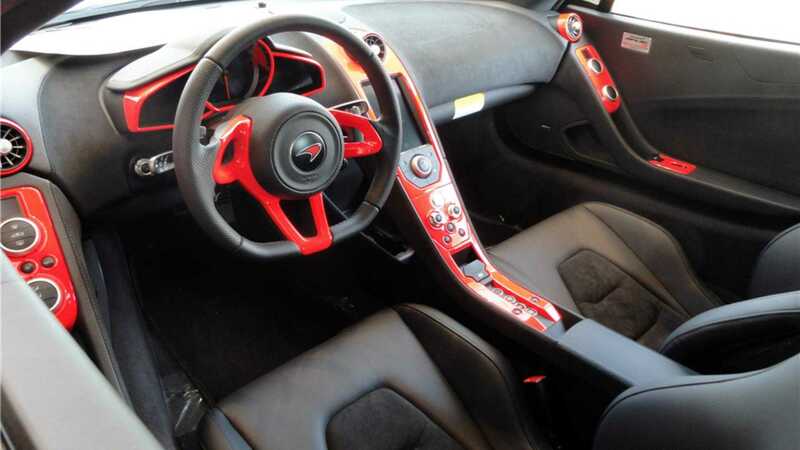 Backing the engine is a 7-speed dual clutch gearbox with three driving modes, and it rides on an upgraded suspension - the Stealth Package also includes a slew of performance and driver-centric upgrades. 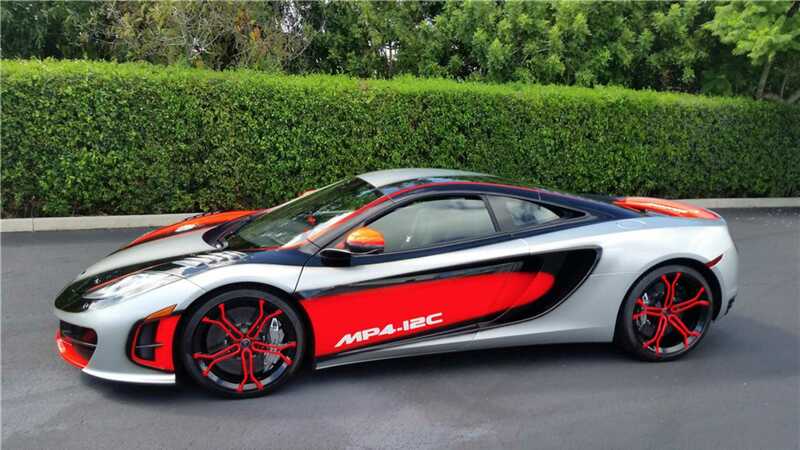 This is the only of the ten cars painted in the FI Vodafone Racing Team livery colors, and is further made special by the fact that it proudly wears the signatures of McLaren drivers and pit crew. 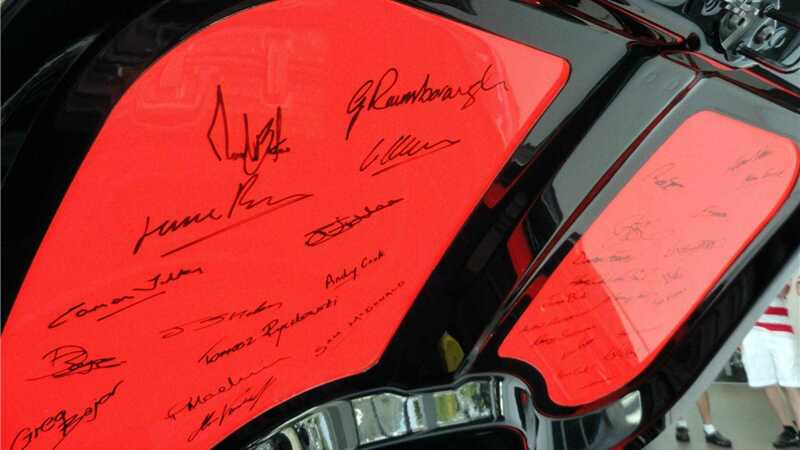 The signatures were placed on the car during a celebration over a victory at Nuremberg, Germany, according to the auction site.